Other mini-games include Snowball Fight, Chicken Race. 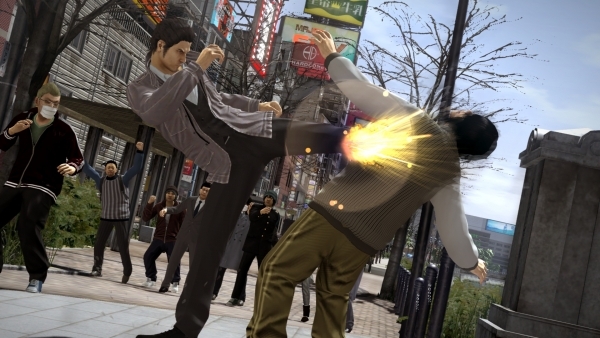 A fully ported version of Virtua Fighter 2 is just one of Yakuza 5‘s many mini-games, this week’s Famitsu reveals. Through download content, you can even play the Sega classic fighter with two players. Other mini-games include the Ramen Shop, Snowball Fight, and Chicken Race. The game also promises the best interactions with hostesses in the series so far.